This Christmas season has seen the broadcast of a new screen adaptation of Richard Adams’ bestselling lapine children’s novel, Watership Down, originally published in 1972. The recent miniseries, a collaboration between Netflix and the BBC, was billed as a gentler, more family-friendly offering than the 1978 film, written and directed by Martin Rosen, which was notorious for its scenes of graphic animated violence. The new version also boasted a diverse, high quality cast and more significant roles for female characters. I must confess that I have very few memories of the 1978 film, but my first encounter with the novel was a formative experience. I first read Watership Down as a bookish ten-year-old, and I was completely blown away by the detail and thoroughness of the world-building, and the epic scale of the struggles endured by the hardy band of migrant rabbits, which I saw, smelt and suffered from the rabbit point of view. It would not be accurate to say that reading Watership Down raised my environmental consciousness in any immediate, direct way. I knew the rabbits I met in the book were not the real rabbits I could see from the school playground. I was reading about an alternative society which retained recognisably human features, such as storytelling, humour, religion and ideals of morality. In the same way, I appreciated the beauty of Adams’ evocative description of the Hampshire countryside without associating it with anything I might find in local fields around my Lincolnshire village. I could read about “half-grown clumps of purple loosestrife and fleabane,” without the slightest idea of what they looked like in reality, or where I might find them. I could have just as easily been reading about Tolkien’s Middle Earth, as about a material landscape with real wildlife. The miniseries remains faithful to this aspect of the novel, and even goes further than the book in the emphasis placed on it; a deliberate decision, according to scriptwriter Tom Bidwell. Towards the end of the final episode, for example, Fiver explicitly praises the girl from Nuthanger farm who rescues him from the cat, noting that there are at least some human beings who treat other living creatures with respect; a clear and direct encouragement to the young viewer to do the same. Less overtly, the visual aesthetic of the CGI animation includes strong gothic elements which associate human societies with death. The corvid attack on the migrant rabbits, which in the book takes place in the open fields, occurs in the miniseries at night, in the graveyard of a ruined church. In a later episode, the association of human-built ruins with mortal threat is repeated effectively on a larger scale in the architecture of the totalitarian warren of Efrafa, which is constructed under the ruins of what appears to be an abandoned incinerator. We are introduced to Efrafa by a low eye level shot in which we follow prisoners along a disused railway line leading up to a ruined tower, evoking the horrific iconography of Second World War concentration camps. As @WatershipDownResearch notes on Twitter, the decision to situate Efrafa amongst the human-built environment (an element not present in the novel) is a visual indicator of its evil as an organisation. Adams’ acknowledged source for the behaviour of rabbits was the naturalist Ronald Lockley’s monograph, The Private Life of the Rabbit (1965), the account of a detailed field study of a rabbit population. 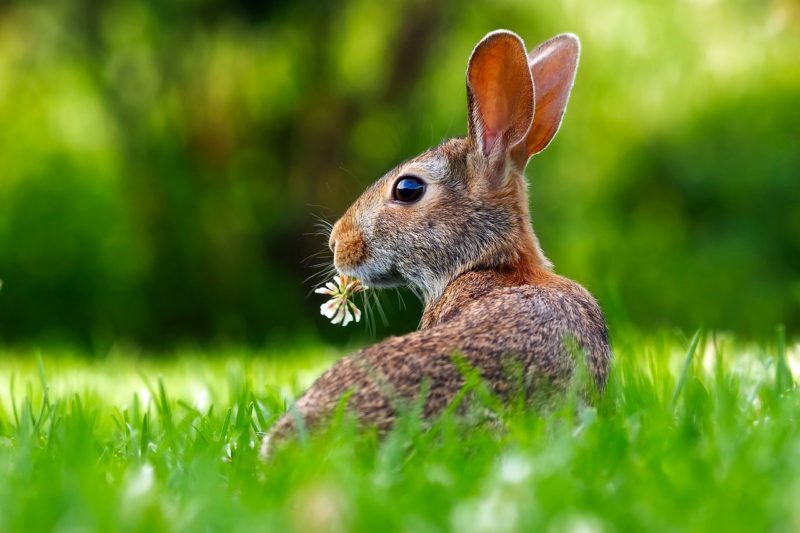 Significantly, this research was carried out as part of the UK Government’s investigation into the effect of myxomatosis, in the context of pest control. Coming across Lockley’s book last year, I was struck by how much of the text is concerned with the history of human attempts to control rabbit populations: an ominous history, given the current decline in the country’s rabbit populations. Watership Down does not mention human involvement in the spread of this disease, and no rabbit in the main story suffers from it. However, myxomatosis, or the “white blindness,” as it is called in the novel, haunts the text, with numerous allusions to its menace. It appears to especially sinister effect in the legendary story of The Black Rabbit of Inlé, in which El-ahrairah makes a desperate, self-sacrificial attempt to infect himself with the disease in order to kill the invaders of his warren. Initially, rather than its ecological message, the most powerful legacy from my first reading of Adams’ Watership Down was the opening up of an incredible vista of literary sophistication. I was struck by the inventiveness and immersiveness of his creation of a whole rabbit culture. Although the novel has a reputation for darkness and violence, a thread of gentle humour runs throughout. The erudite, donnish tone of the footnotes translating the rabbit language of Lapine was to me a new level of wit. Ingeniously, rabbits are presented as a storytelling community. At intervals in the main narrative, a rabbit is called upon to tell a story from rabbit mythology, centring on the legendary ancestor hero, the trickster El-ahrairah. Often this happens at a moment of dramatic suspense: for example, when Dandelion tells the story of The King’s Lettuce on arrival at a strange warren, in a failed attempt to impress their hosts; or when Bigwig asks for the dark tale of the Black Rabbit of Inlé, in order to access fresh reserves of courage for his dangerous espionage mission to Efrafa. I found this rich metatextual depth deeply thrilling if, at times, baffling. At almost five hundred pages in length, reading the book felt like an epic achievement – it took me so long that once I had finished, I had to go straight back and start again, having almost forgotten what had happened in the beginning. One of the most impressive achievements of the book is its presentation of an oral culture: the way in which storytelling embeds rabbit mythology in every area of their lives, providing the community with security and a sense of identity as well as a moral code. Their creation story, The Blessing of El-ahrairah, reflects rabbits’ position in the ecosystem: a vulnerable position, harried constantly by predators and disease, but resilient because of their intelligence and a physique adapted to escape pursuit. It was my first realisation that a myth was a created thing with a role to play in how a society sees itself. Disappointingly little is made, in the miniseries, of the relationship between storytelling and rabbit society. Although, as in the book, Buckthorn tells his strange hosts in the warren of the snares that “rabbits will always need tricks,” we don’t really see the screen rabbits performing any. Ideas and strategy are lost in the somewhat confusing action sequences and chase scenes. By contrast, in the book, Holly’s plan of escape from Efrafa is inspired by hearing the story of The King’s Lettuce. When Hazel devises an idea to save the warren by letting the farmyard dog loose amongst the Efrafan invaders, he is inspired not only by prophetic visions but also by adapting a trick used previously in the plot of the main story. Rereading Watership Down today, I find its strongest and most subtle ecological ethic in the attempt to present of the Watership Down community as an ideal society. It’s not an unproblematic ideal, but it has many positive features. In contrast to the book of Genesis, the creation story of rabbit society does not put the storyteller’s species in charge. Rabbit society is provisional, vulnerable, precarious. For much of the book the Watership Down rabbits are a migrant community, living by their wits, negotiating amongst strangers for their safety and survival. Although they do find a permanent place to live, Watership Down is not a novel of conquest but of co-operation both within and between species. While they view themselves as a fixed part of the ecological web of being, whose lives “haven’t changed for generations,” the rabbits are not part of a nostalgic pastoral idyll. Hazel and his friends innovate and adapt. Repeatedly we see them reusing knowledge gained at an earlier point in the story, and adopting new ideas they come across on their journeys. Such borrowing reflects the rabbit code of cunning and trickery, which covers behaviour as various as raiding a garden for lettuce and Hazel’s crafty but (usually) benign manipulation of his rabbit team. Returning to Watership Down today, I am reading with the terrible knowledge of the accelerating speed and scale of human-caused environmental destruction. In this respect, I can identify as much with the precarity of rabbit society, forced to find new reserves of strength and ingenuity in response to an uncertain, ever-threatening world, as with their enemies, the callous, domineering humans who tear up the Sandleford Warren. I am also reading as a creative writer, searching for ways to respond appropriately to the unprecedented position of danger we find ourselves in. In this respect, the darkest episode in the novel, even more than the open cruelty and violence of Efrafa, is that of the warren of the snares. Having escaped the destruction of their home at Sandleford, Hazel’s band are invited to join a strange warren of well-fed but curiously melancholy rabbits. It turns out that the warren is hiding a terrible secret: it is being maintained by men as a source of food. The rabbits are fed by the humans, who also shoot any prey; the price of the rabbits’ easy life is that, every so often, one will be trapped and killed by a snare. The rabbits know they are living in a place of death, and the effort of repressing this knowledge warps and distorts their culture, resulting in a pseudo-sophistication. They evolve strange dancing rituals, songs and poems, and lose their visceral connection with the traditional stories of the trickster El-ahrairah. In an attempt to avoid rather than expose the truth, their culture has become etiolated and sick. The moment in which the truth is exposed, in Fiver’s prophetic speech, after Bigwig has survived a bloody rescue from one of the snares, is scalp-tingling to read. Whatever Adams’ intention was in his portrayal of this sinister, sick community, I can’t help reading into the episode of the warren of the snares a reflection of contemporary Western culture’s position within a materialist, ecocidal way of life. It is a world in which writers and artists can feel overwhelmed with the responsibility of responding adequately to the threat of climate breakdown, habitat destruction and violence. In Watership Down, the poets and storytellers have as valuable a role as the fighters, runners and tricksters in keeping society on course. They give a culture its identity and describe its place in the vast ecological web. They entertain, reinforce and instruct. They generate new ideas, possibilities and connections. Above all, they keep society in contact with reality, with imagination and courage. In this way, Watership Down provides a model for all creative practitioners living on the edge of extinction, at the beginning of 2019. Elaine Ewart is a poet and environmental writer, currently studying for a PhD in Creative Writing at the University of Essex. Her MA dissertation won second prize in the New Welsh Writing Awards (2015), and she has also been shortlisted for the Resurgence Ecopoetry Awards (2015). She can be found on Twitter at @EwartElaine.